The holiday season is truly the most wonderful time of the year with enthralling Christmas and New Year’s Eve dining experiences and other exciting festivities at City of Dreams Manila. 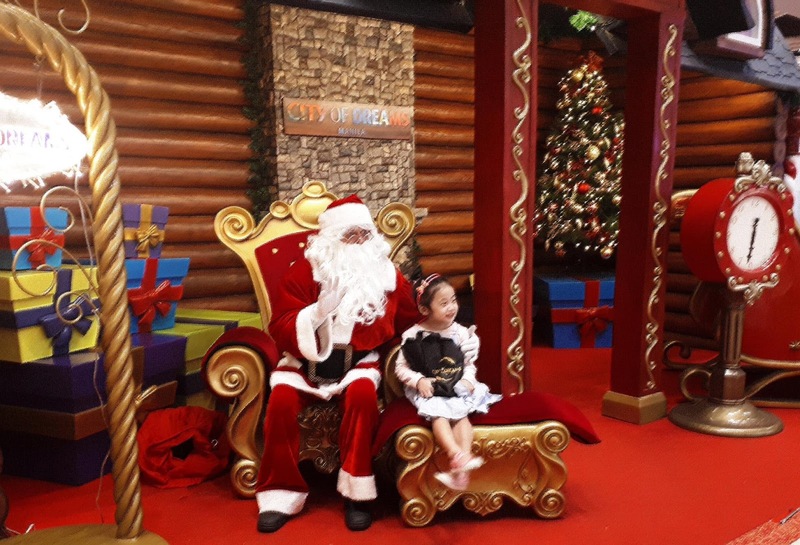 During all weekends of December and on Christmas day, kids and kids-at-heart can meet and greet Santa at his log cabin for a photo op and receive a holiday goodie bag with Snickers chocolate bars at the main entrance. Foodies and gourmands can delight in the reopening of The Tasting Room and the introduction of its new chef de cuisine Frederic Thevenet from Michelin star restaurants in Europe and United States. Chef Thevenet together with Maitre D’ Stephen Moroney will captivate guests with a Michelin-dining experience. 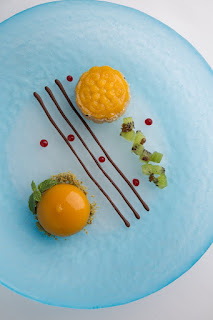 A holiday five-course dinner degustation menu is available from December 24 to 31: appetizer of Foie Gras Terrine with sangria jelly, papaya chutney, coco bean puree, and brioche; followed by Pollock with pomelos, mango, pear / Mâche (salad green), water cress, and Emmental. The Spinach Ravioli with egg yolk, black truffle, Bordelaise, green beans salad, and Parma ham is a fitting introduction to the evening’s entrée Beef Tenderloin with kohlrabi (cabbage turnip), lentils, and bone marrow. 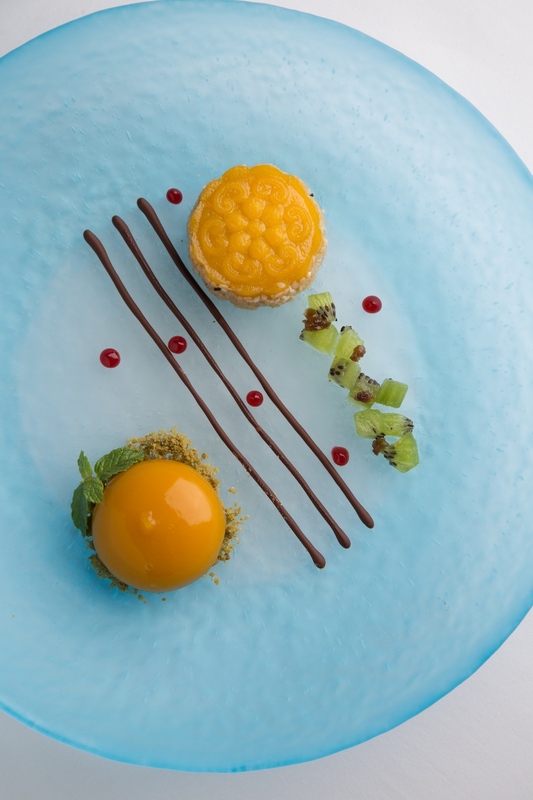 The Chestnut Parfait infused with clementine (a variation of mandarin) brings the dinner to a spectacular conclusion. The Christmas and New Year Tasting Menu is priced at P5,588++ per cover. An exclusive seven-course Omakase menu will be on offer for New Year’s Eve on December 31. Brunch fare will be available for Christmas Eve and New Year’s Eve celebration on December 24 and 31, respectively from 11:30 am to 3 pm. At the brunch buffet to be held a day before Christmas, a carving station will include Roasted Wagyu Leg and Baked Salmon with Honey Truffle, a buffet selection of Roasted Kabotcha with Maple Miso Butter, Scallop Okonomiyaki, and Nobu-Style Uni Palabok. 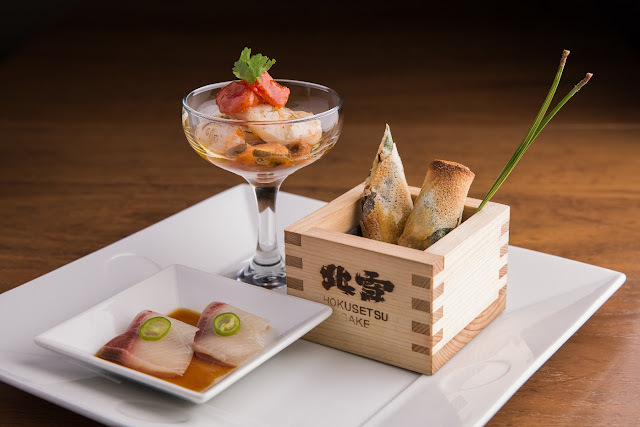 Pass-around items Baked Mussels in Truffle Butter, Chicken Lollipop with Sweet Soy Anticucho, and Rock Shrimp Tempura Creamy Spicy Sauce are paired well with the season’s freshest catch of sushi and special sashimi. 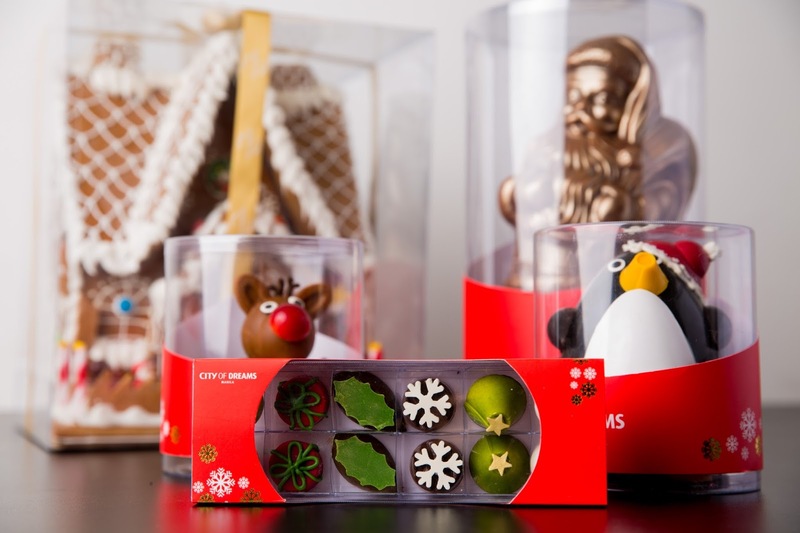 A Christmas-themed dessert spread will aptly conclude the hearty feast. For the December 31 brunch buffet, the Rosemary Miso Crusted Prime Rib and Baked Whole Ham Leg along with an assortment of grilled Kushiyaki skewers will be highlighted. In addition, diners can sample hot buffet items such as the restaurant’s signature Black Cod Miso, as well as Braised Shortrib Sliders, Yaki Udon, and Roasted Sweet Potato with Truffle Quinoa, among others. Soft Shell Crab with Truffle Aioli, Washu Beef, and Baked Mussels with Uni Butter will be passed around for guests to enjoy. Likewise, the New Year’s Eve Omakase dinner lets guests relish seven of Nobu Manila’s scrumptious courses: a “Zensai” of Senbei Chip And Quinoa Poke followed by Toro Tartar, Ossetra Caviar, Wasabi Soy Kumamoto Oyster New York Salsa Duo; a Nigiri platter of Toro, Japanese Saba, Shrimp, Uni, and Japanese Hirame; a sashimi trio comprising Hamachi Jalapeno, Unagi Harumaki and Hotate Ratatouille; Norway Salmon Sashimi Salad with Ikura and Spicy Lemon Dressing; Pan-Seared Sea Bass with Truffle Dashi Broth and Seasonal Mushrooms; Wagyu Beef Croquette with Foie Gras Ganache and Smoked Cauliflower Puree; and Valrhona Mint Lava Cake with Rosé Granita and Vanilla Bean Ice Cream. The December 24 and December 31 brunch buffet offers are at P3,880++ per cover. An additional P990++ includes the standard alcohol beverage line-up while P1,990++ provides the premium champagne package. Families and friends can celebrate Christmas at City of Dreams Manila’s premium Cantonese-style fine dining restaurant – Crystal Dragon. For the festive season, the restaurant offers a choice between a seven-course or eight-course Christmas set menu at P1,988++ and P2,388++, respectively, during lunch at 12nn to 3pm and dinner at 6pm to 11pm. 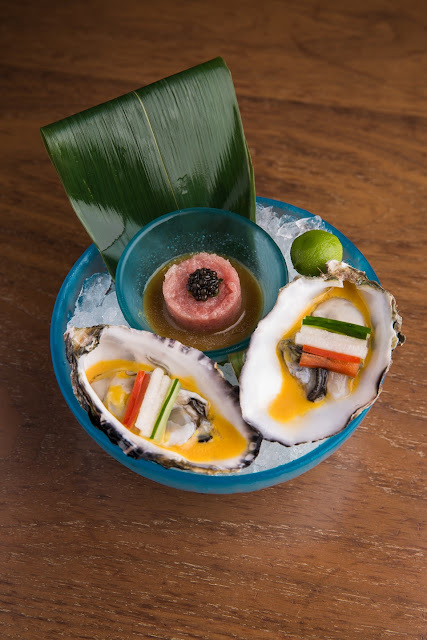 Set Menu A features dishes such as Pan Fried Fragrant Glutinous Rice served in Abalone Sauce, Steamed Cod Fish with Black Garlic Sauce and Garden Greens, and Chilled Sweetened Mango Sphere with Pan Fried Soft Skin Ube. Set Menu B showcases Minced Turkey in Golden Cup with Seafood Platter; Braised E Fu Noodle with Chinese cabbage, Mushrooms and Lobster Tails and Creamy Custard Croquette with Kumquat Compote. Aside from the venue’s best-sellers, a limited-time holiday a la carte selection will be available at Red Ginger from December 16 to 31. 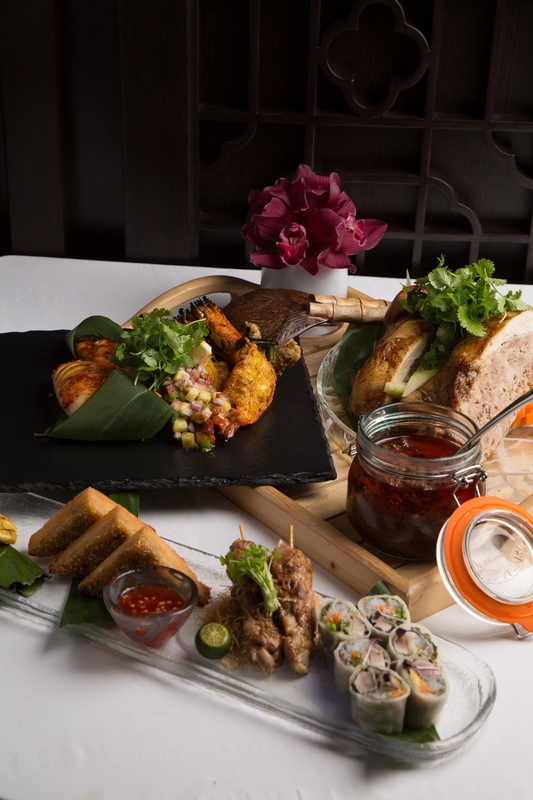 The Red Ginger Sampler of Malaysian Style “Otak Otak”, Lemon Grass Chicken Skewers, Tuna Salad Roll, and Sesame Crispy Prawn Toast offers a feast for the senses, along with the Wagyu Beef Phad Thai, Ayam Kodok (Indonesian Style Slow-Roasted Chicken). A sumptuous barbecue buffet spread featuring grilled dishes and a variety of Eastern and Western dishes are served by the poolside during the weekly Sunday barbecue dinner at Wave restaurant. Available on all Sundays of November and December, not-to-be-missed staples are the lemongrass-stuffed lechon carving station, the grill with bratwurst, pork barbecue skewers, chicken inasal, and lemon garlic prawns, the risotto cheese wheel, cold cuts station, breads station, salads station, and delectable desserts. Ideal presents for loved ones and friends this holiday season can be found at Café Society with treats such as holiday cakes, breads, cookies and chocolates – including adorable chocolate Santa Claus confections in small or large sizes and colorful gingerbread cookie houses – on display until January 1. A delightful array of delicacies will be available exclusively during the Christmas and New Year promotion, such as cakes and stollen perfect for festive gatherings comprising traditional minced pie, traditional stollen, traditional English fruitcake loaf, chocolate loaf signature cake, Christmas loaf banana rum pecan cake, and Dundee cake loaf. Giant gingerbread houses together with the display of premium chocolates shaped like Santa Claus, a snowman, a reindeer, or a penguin make for both charming yuletide décor and yummy treats, complementing the holiday macaroons in boxes of 6 and 12, Christmas cookies in a variety of designs, chocolate balls, pralines, as well as nut and fruit bars in mango & cashew, and dark, milk, or chocolate variants. For inquiries and reservations, guests can call 800 8080, e-mail guestservices@cod-manila.com, or visit www.cityofdreamsmanila.com. The luxury integrated casino resort City of Dreams Manila marks the formal entry of Melco Resorts & Entertainment Limited into the fast-growing and dynamic tourism industry in the Philippines. Officially opened in February 2015, City of Dreams Manila is operated by Melco Resorts Leisure (PHP) Corporation, a subsidiary of Melco Resorts and Entertainment (Philippines) Corporation. The dynamic and innovative resort complex, located on an approximately 6.2-hectare site at the gateway to Entertainment City, includes the ultimate in entertainment, hotel, retail and dining and lifestyle experiences with aggregated gaming space, including VIP and mass-market gaming facilities with 289 gaming tables, 1,620 slot machines and 176 electronic table games. The integrated resort features three luxury hotel brands: Crown, Nobu and Hyatt, more than 20 impressive restaurants and bars ,and distinctive entertainment venues, namely: the family entertainment center DreamPlay, the world’s first DreamWorks-themed interactive play space; CenterPlay, a live performance central lounge inside the casino; KTV at City of Dreams Manila, Chaos night club, and the Pangaea ultra-gaming lounge, all three situated at the Fortune Egg, an iconic landmark at the Manila Bay area, with its architecturally-unique structure and creative exterior lighting design. City of Dreams Manila delivers an unparalleled entertainment and hospitality experience to the Philippines and is playing a key role in strengthening the depth and diversity of Manila’s leisure, business and tourism offering, enhancing its growing position as one of Asia’s premier leisure destinations. It has been developed to specifically meet the needs of the large, rapidly growing and increasingly diverse audience of leisure and entertainment seekers both in the Philippines and those visiting Manila from across the Asia region and around the world. Integrated casino developer Melco Resorts and Entertainment (Philippines) Corporation is a company listed on the Philippine Stock Exchange with trading symbol of “MRP”. It is a subsidiary of Melco Resorts & Entertainment Limited (NASDAQ:”MLCO”), the developer, owner and operator of casino gaming and entertainment casino resort facilities in Asia. It developed City of Dreams Manila, which is managed and operated by Melco Resorts Leisure (PHP) Corporation. For more information about Melco Resorts and Entertainment (Philippines) Corporation, please visit: www.melco-resorts-philippines.com.